The Delhi Government yesterday issued a warning for a “critically polluted period ahead” as the capital recorded its worst air quality since February. 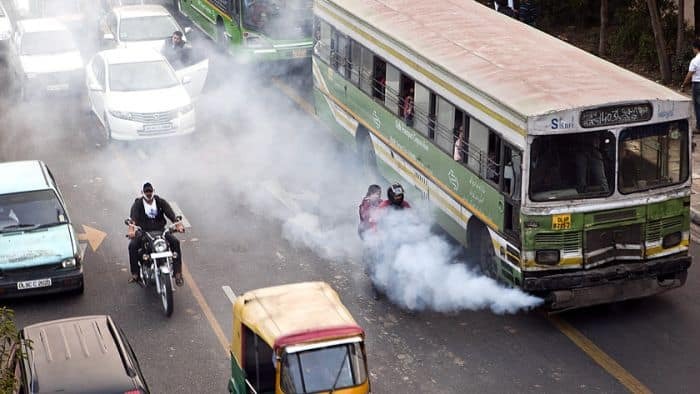 The Delhi Government on Friday announced to set up air purifier at five major traffic congestion points in its first phase of the blue print in order to curb air pollution in the national capital. This move has been taken on the recommendations of the task force headed by Health Minister Satyendra Jain. The Delhi Government and National Environment and Energy Research Institute (NEERI) is at the final stage of discussion to set up this mega air purifier in 15 days at five major traffic congestion points, which include Anand Vihar, Kashmiri Gate, ITO, AIIMS/IIT Delhi and Sarai Kale Khan, on a pilot basis. The government has assured to make all the five set up to be functional within six weeks. Jain said a mist fountain technology will be set up to at one major intersection on pilot basis, adding this will throw mist in polluted air from recycled water which will trap the dust particle available in the air. “Mist air pollution technology is very established but has not yet been tried for outdoor air pollution. To try its efficiency, we will test it on outdoor air pollution,” Jain told the media here. Talking about the solid waste management system, Jain said the Rajghat Power Plant, which is not functional from quite a long time, will be changed into waste to energy power plant. 400 mt/per day waste will be used in the first phase, which will later be expanded to 6000 mt/day. All phases of this project is expected to be functional by December 2017. However, no announcement has yet been made on the Odd-Even scheme of the Delhi Government. The Delhi Government yesterday issued a warning for a “critically polluted period ahead” as the capital recorded its worst air quality since February. The National Air Quality Index showed that pollution levels were severe at Anand Vihar, R.K. Puram and Punjabi Bagh. The air quality at Dilshad Garden, Dwarka and Mandir Marg stations was “very poor”. Delhi has been witnessing high rate of air pollution from the past one year. The Delhi Government tried to curb down the pollution by implementing Odd-Even scheme in December last year.